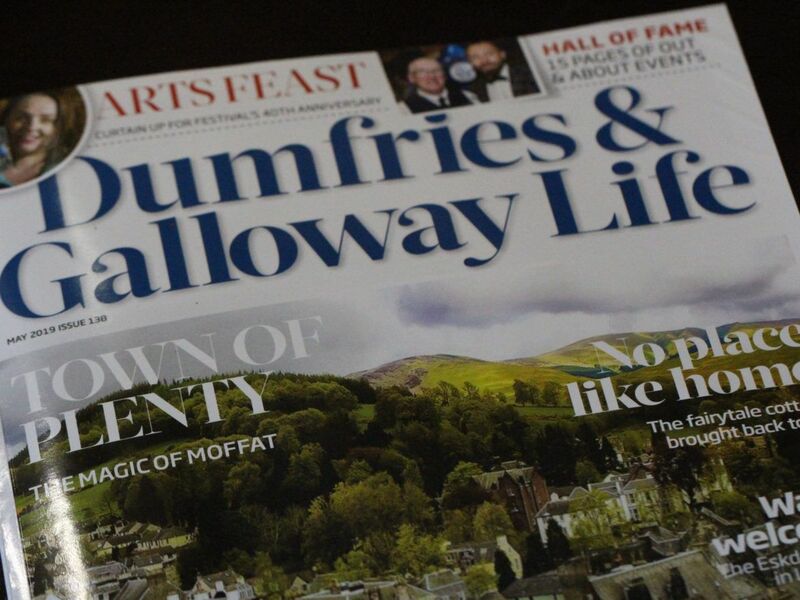 Nice wee article on me in the May edition of DGLife Magazine. 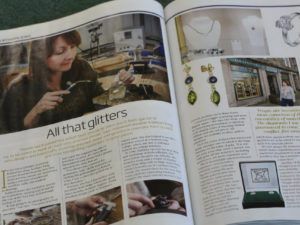 In her Kirkcudbright workshop behind her shop, Kathryn King creates beautiful bespoke jewellery from precious metals and gemstones using a mixture of traditional jewellery skills and modern technology. By the end of her first year at Edinburgh College of Art, Kathryn knew she wanted to specialise in jewellery making and design. “It was going to be photography or jewellery,” she said, “I’m quite practical and enjoy the engineering side of jewellery creation. It’s more three dimensional and always had a greater appeal to me than fine art. Kathryn also has a fascination with jewellery from India where she spent three months, between degrees, doing jewellery design work in Mumbai’s export zone as well as helping to set up a jewellery school at a women-only college where she and her colleague trained the college teachers. In 1996, Kathryn opened her first shop and workshop in Kirkcudbright, the town where she grew up. Initially, she rented a room and a couple of display cases from Mike Gill on High Street then, when Carswell’s on St Cuthbert Street closed down, she moved there for the next four years until her expanding business outgrew the space and she moved to her current premises on St Marys Street. “It really became unworkable size wise,” said Kathryn. “I needed a bigger workshop and more display space.” The shop, with its welcoming atmosphere, is spacious with display cases of stunning limited edition and one-off pieces. All designs are available in silver, gold or platinum. She is increasingly asked to re-model customers own jewellery, re-setting stones, redesigning and reusing the gold. She said: “When gold became more expensive, some people had their pieces re-modelled, sometimes into more than one piece. Kathryn has six or seven suppliers who provide the gemstones she turns into bespoke pieces of jewellery. She’s always on the lookout for unusual gems and is excited about a recent purchase of some moonstones, a gemstone she saw used in India. One benchmark of the success of her business is the number of returning customers. “They might be coming in to commission something or to have diamonds cleaned and it’s always lovely to see things people have bought and treasured,” she said. “I can honestly say no two days are ever the same, I’m always doing something different. Kathryn will be taking part in this year’s Spring Fling (25-27 May) when she will be inviting visitors to explore her workshop behind the shop. This rare glimpse into a busy working studio will allow them to see the journey from idea to finished item.